Always Infinity is the world’s 1st SmartFoam pad. It absorbs 10x its weight and moulds to your body so you barely feel it. It has micro holes that pull liquid deep down for a dry feeling and channels for leakage protection and flexibility. 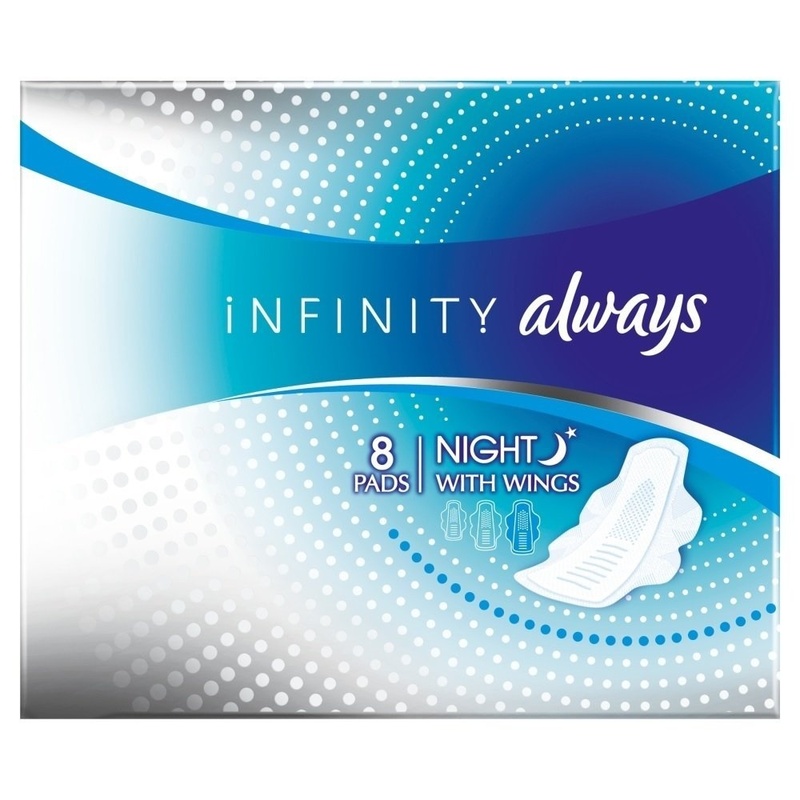 Created with Infinicel, an innovative material never used before in a pad. Top sheet is incredibly soft and gentle on your skin, shapes to your body to keep you comfortably protected while you move during the night.